Michael Shayne was a fictional sleuth created by Brett Halliday (a pen name for author Davis Dresser) who was first initiated into the fraternity for detectives in the 1939 novel "Dividend of Death". Dresser based the character on a “tall and rangy” brawler who once saved his life during a braw in a Mexican cantina. The Shayne character would go on to appear in 69 novels, plus a long-running mystery magazine—and in 1941, was brought to the silver screen in Paramount’s Michael Shayne, Private Detective, an adaptation of Dividend of Death that starred Lloyd Nolan, and paved the way for six additional B-mysteries to follow. 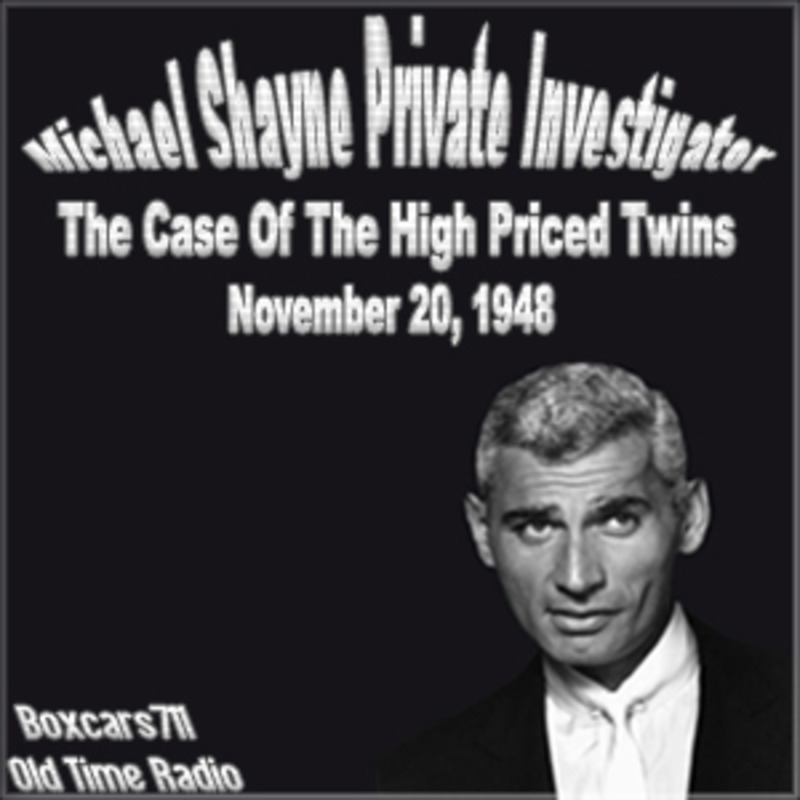 The New Adventures of Michael Shayne—premiered on July 15, 1948 starring Jeff Chandler. THIS EPISODE: November 20, 1948. Broadcaster's Guild syndication, AFRTS rebroadcast. "The Case Of The High Priced Twins". The twins are from Broling...in Austria, and they're two very valuable missing coins. Jeff Chandler, William P. Rousseau (host, director), Brett Halliday (creator). 27:29. Episode Notes From The Radio Gold Index.